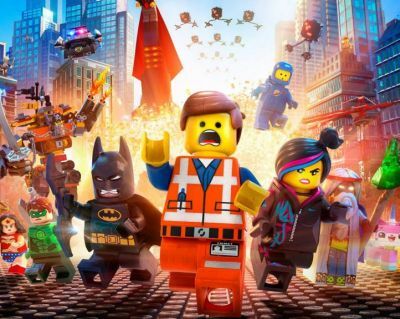 Following the success of The LEGO Movie last year, Warner Bros. is betting all their chips on the tiny bricks to turn into a full-fledged franchise for them. Not only is a sequel to The LEGO Movie coming but so is LEGO Ninjago and The LEGO Batman Movie. Directors Chris Miller and Phil Lord, who helmed the first film, are on board for the ride too, acting as producers for the spin-offs and revealed today that though they’re writing the sequel, they won’t direct it. Further asking about the sequel to last year’s hit, the outlet asked the pair why they’ve decided to write the sequel having originally decided to just produce. Miller went on to detail some interesting bits about the film’s plot, revealing it will take place four years after the first film (which will be released four years after the first). The LEGO calendar is ever growing with LEGO Ninjago set for release on September 23, 2016, The LEGO Batman Movie scheduled for May 26, 2017, The LEGO Movie 2 on May 25, 2018, and another Untitled LEGO Movie on May 24, 2019.